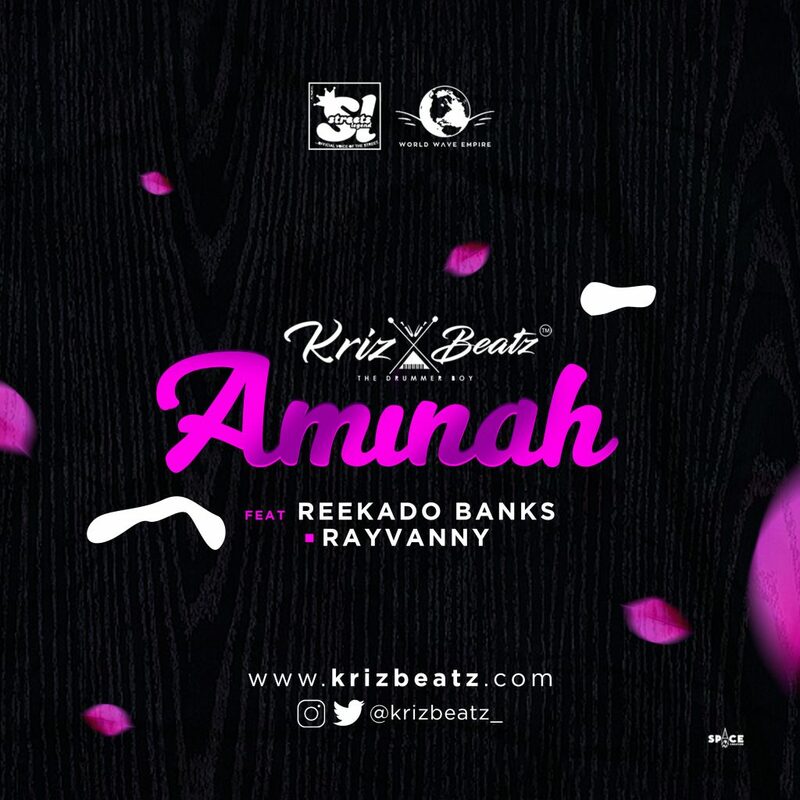 Renowned music producer, KrizBeatz returns with a sizzling new material titled “AMINAH” The new song comes with the excitement of having a collaboration between East Africa’s Ravanny and Reekado Banks from the West. KrizBeatz is compiling his sophomore album which will be titled “African Time”; and “AMINAH” is the first single off the ambitious project. The album is scheduled to be released later in the year with input from prominent artists like Wizkid, Diamond Platnum, Mr. Eazi, and Tekno, expected. KrizBeatz, Reekado and Rayvanny on “AMINAH ” makes a formidable trio.